Other terms are also commonly used to describe the fatigue are exhaustion, lethargy, drowsiness, weakness, lack of energy or even shortness of breath. In this paper we describe the main causes of prolonged fatigue. Let us now make an important distinction: fatigue and shortness of breath are different symptoms. Often both can appear together, as some diseases may be present with both symptoms. But they are different. 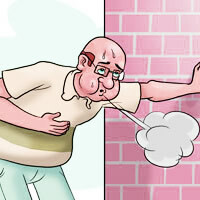 The lack of air, called in technical language as dyspnea, is the feeling of shortness of breath, the impression that the amount of air entering the lungs is too low. It can also manifest a difficulty to expel the air already breathed. Since fatigue is the difficulty of performing tasks and efforts, even if minimal, such as walking, climbing stairs, or even brushing your teeth or combing your hair in more severe cases. 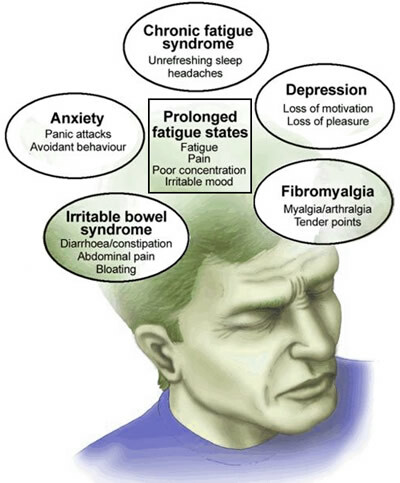 It is very common for patients with complaints of fatigue not to relate to breathlessness. Moreover, it is usual that patients complaining of shortness of breath also have some degree of exhaustion. The fatigue point, caused by a great physical effort is perfectly normal and expected. The more prepared physically the individual is, the more resistant to fatigue he/she is. Sedentary people, particularly obese women, may feel tired very easily, sometimes just to do a longer walk. Physical inactivity and poor fitness are the most common causes of fatigue among the population. The less physical activity an individual does, the more easily the feeling of tiredness arises. Infections, especially viral causes of tiredness are also short. Tiredness lasting less than 48 hours often have no clinical relevance, unless they are of great intensity and without apparent reason. Fatigue is also common in people who lead a lifelong race with overwork and stress and little leisure time and rest. Generally, these are also sedentary people, who lack time to exercise. Despite the inactivity, fatigue in this group tends to appear with much stress, lack of sleep, poor diet and, often, undiagnosed depression or anxiety disorders. However, not all fatigue indicates only a poor cardiopulmonary fitness or overwork and stress. There are dozens of diseases that can manifest a picture of chronic tiredness. Let's talk briefly of 10 common causes of fatigue of long duration. If you want more details about each disease, use the provided links to access the specific texts. Hypothyroidism is the name given when the thyroid gland produces an insufficient amount of its hormones, responsible for controlling the body's metabolism, or how the body stores and expends energy. Hypothyroidism is a common cause of tiredness and weakness, often associated with other signs and symptoms such as dry skin, constipation, cold intolerance, joint pain, elevated blood cholesterol, hair loss and weight gain. 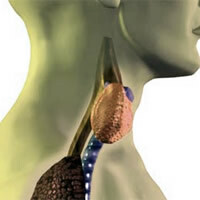 The fatigue of hypothyroidism is permanent and can be present even at rest. There are two components causing fatigue in the patient with hypothyroidism: the first is the intolerance to exertion, which makes the patient get tired even after minor activities, the second is a picture of dejection, feeling lack of energy and slowed thinking that occurs even in absence of physical effort. Heart failure is a disease caused by the inability of the heart to pump blood adequately through the body. This disease is basically caused by a weak heart, unable to meet the energy demands required by the body. The main causes of heart failure are myocardial infarction, hypertension, diseases of the heart valves and alcoholism. Different degrees of heart failure. In early stages the patient feels tired only after moderate exertion. As the disease progresses, fatigue is arising with increasing ease, until banal activities such as combing hair and brushing your teeth become tiresome. The weakness of the heart causes retention of fluid in the body, leading to edema (swelling) in the legs. In later stages there is also fluid retention in the lungs, which contributes to fatigue and shortness of breath, especially when the patient lies down. Anemia is a disease caused by the reduction of the concentration of red blood cells (RBC), the cells responsible for transporting oxygen throughout the body. Anemia is a common cause of fatigue and at advanced degrees manifests with pallor of the skin and increased heart rate at rest. There are dozens of causes for anemia, the most common being the loss of blood from the gastrointestinal tract, which leads to iron deficiency anemia. This is a hypothesis that should always be taken into account in the elderly people. 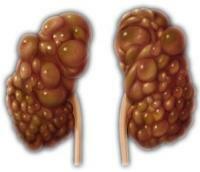 Renal failure is usually a silent disease until the late stages and can cause tiredness for several reasons. The most important ones are anemia, accumulation of toxins in the body, blood acidity and malnutrition. Diabetes is a disease caused by the body's inability to transport glucose in the blood into cells, where it is needed to generate energy. Without glucose the cells throughout the body become "hungry" and cannot adequately perform their duties. Insulin is the hormone responsible for transporting glucose from the blood into cells. Type 1 diabetes is the absence of insulin in the blood, while the type 2 diabetes is malfunction of the existing insulin. The untreated diabetes often evolves with fatigue, weight loss, excessive urine and headquarters. Diseases of the lungs, especially asthma and COPD are common causes of fatigue. The lung is the organ responsible for oxygen uptake and excretion of carbon dioxide. When lungs are sick, blood oxygenation is compromised, leading to a weariness. Difficulty concentrating and "poor memory"
Tiredness in pregnancy is a very common symptom. Usually starts in the first quarter, disappears in the second and returns with greater intensity in late pregnancy. The fatigue of the first quarter often involves sleep is common and usually caused by hormonal changes of early pregnancy. In the third quarter the fatigue is more related to the baby's weight, the difficulty of expanding the lungs due to the size of the uterus, anemia, natural pregnancy and hormonal changes. Prolonged use of drugs and other substances may be the cause of chronic tiredness. Muscle relaxants, antidepressants, antihistamines, beta-blockers and opioid analgesics are common causes. Too much caffeine can also lead to tiredness as well as excessive alcohol consumption. Sleep is essential to be properly rested. Any sleep disorder that disrupts a good night's sleep may be the cause of a chronic tiredness. In that case, fatigue is accompanied by daytime sleepiness. The obstructive sleep apnea is a common cause of tiredness and sleepiness, especially in obese people. Hallo, I wrote to you some day ago in german language.I learned the english language a long tim ago - about 50 Years at school and I think it is not so very good. I asked you for permissinion for use of the cartoon " shortness of breath" I found on your homepage in the chapter"what is fatigue?" We want to use this cartoon for our group of older people, who suffer from COPD (Translation from the german language: Selfaidingroup=Selbsthilfegruppe).We like to use this cartoon for our RollUp and our flyers, but we are not aible to pay any tax. Please allow us the use of this cartoon or tell me, where I can get the adress of the author, so that I can ask him for permission. I would be enjoyed of an answer. I am 7o Years old,and I don´t know much about handling PC and so on.